Ola, India’s largest cab aggregator in stiff competition with Uber of USA adds another feather to its financial cap by raising $500 million (Rs 3,300 crore) in its latest round of funding, the last being The deal has propelled Ola ahead of Uber in the cab-hailing startups race. This also takes Ola, which very recently got into the grocery business, to a valuation high of $5 billion, that’s 5 times a Unicorn, if you will. The funding was made possible by UK based fund Baillie Gifford and existing investors Falcon Edge Capital, Tiger Global Management, SoftBank and DST Global. Rapid expansion in a year to more than 100 cities has helped Ola capture major share in India’s online taxi booking market. 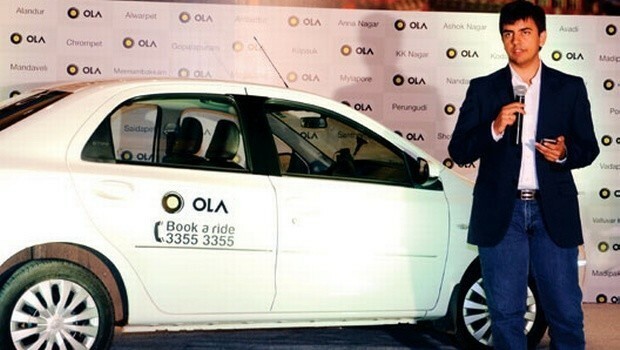 Ola said it will use the latest funds to grow its core taxi-booking operations as well as its new businesses. Cofounder and Chief Executive Bhavish Aggarwal states, “As we pursue our mission to build mobility for a billion people, we are excited about bringing onboard partners who can help us get there faster”. He has plans to grow the mobile ecosystem to reach a billion people through innovative solutions like Ola Share, Ola Prime and Ola Money. Ola will need capital for its several new businesses. In the past year, the company added food-ordering, grocery delivery, a shuttle bus service and electronic payments — each sector having its own flagship startups. With the supremacy of both Ola and Uber in the online cab aggregator business and the requirement of huge capital in this industry, had raised the entry barriers for newer players. In other news, Ola was in news two days ago for its biggest marketing stunt yet, with the deployment of OlaBoat in a flood-ravaged Chennai.